In my barbecue classes, I often serve amuse-bouche snacks which include single-bite appetizers to showcase the versatility of the barbecue seasonings we make from scratch. 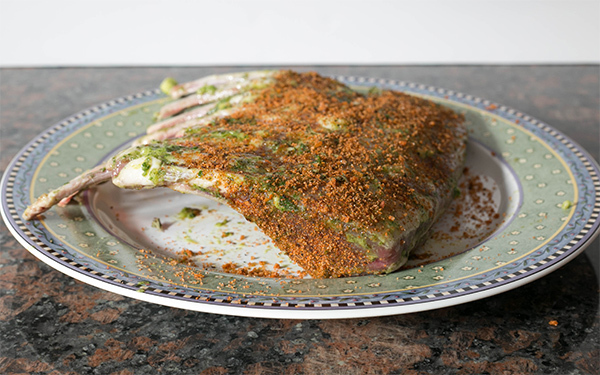 Whether it’s SYD rub sprinkled onto grilled watermelon or added to freshly popped popcorn, a well-designed barbecue rub should explode like a symphony of flavors in your mouth and be useful on just about anything. 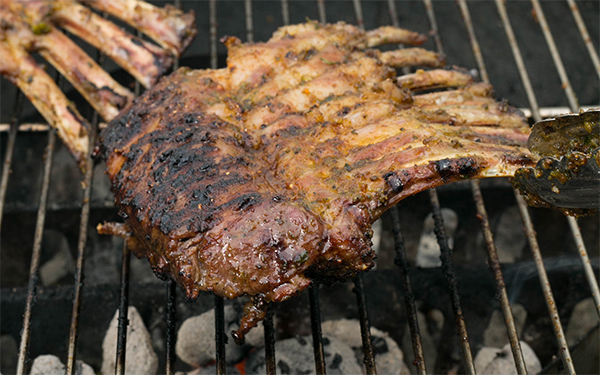 This week’s recipe is my super popular smoked and grilled New Zealand lamb lollipops which my students drool over. That’s often the first dish they want to make as soon as they get home as their homework assignment. 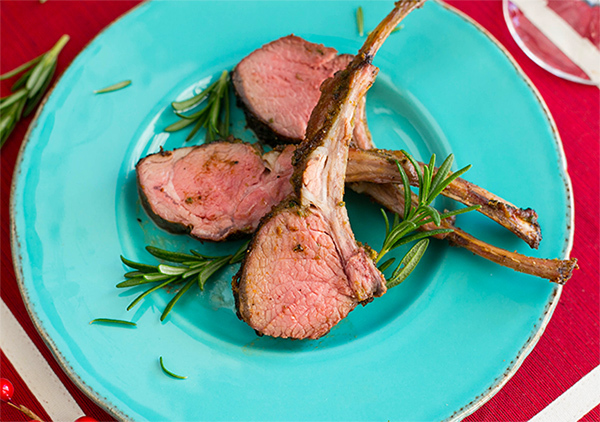 I use New Zealand lamb because it is super tender, flavorful, and has only a very slight lamb gaminess (think goat or mutton aromas). It’s my experience that the ones from Australia and California, while also excellent, are a tad gamy for the lamb beginners. 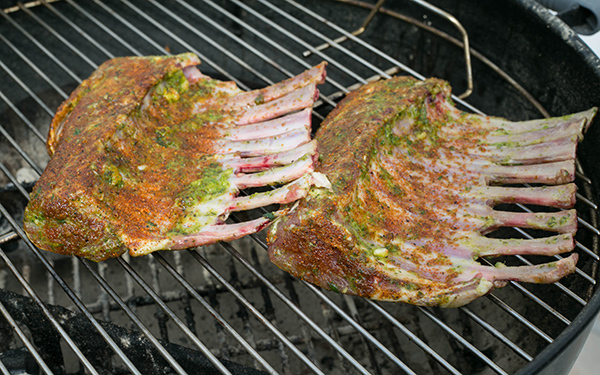 In fact, students who don’t like lamb often become converts after tasting this version. Give it a go and “amuse” your guests at your next party! 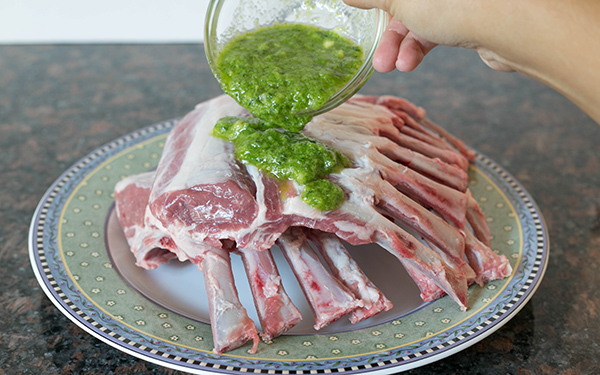 Spread slurry over your New Zealand lamb. Place in gallon zip bag overnight. Rest 5 mins before cutting into individual rib bones. Harry’s lamb lollipops and beef brisket are two of the most well executed and delicious meats that I have ever tasted, and I’m not even a fan of lamb. 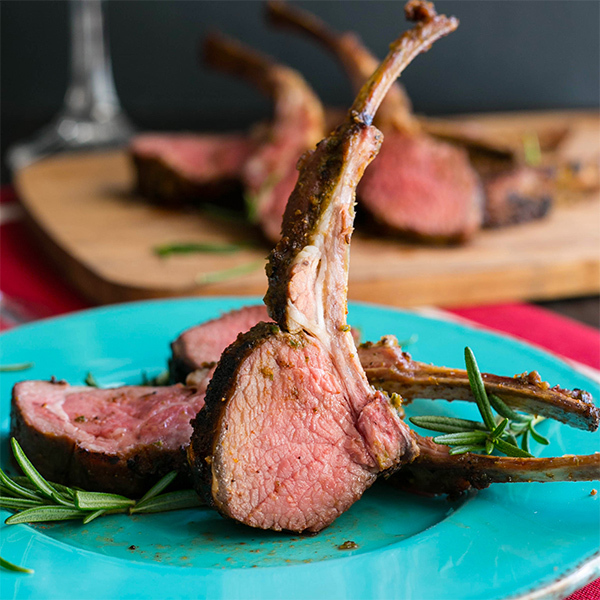 Harry somehow cooks these lamb lollipops to perfection where they’re dripping with juices and bite through with ease. It’s going to be really tough for me to have lamb from anywhere else.